Welcome to the Coldwell Banker Neumann Real Estate Brokerage Customer Experience Survey! 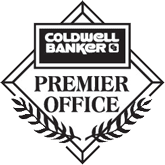 Thank-you for working with Coldwell Banker Neumann REB on your recent real estate transaction. We want you to know how much we value you and your business. Our goal is to provide the best possible real estate service in Guelph. This survey will allow us to gain your thoughts and opinions in order to align our business practices to service you better. The survey should only take 4-5 minutes to complete. Upon completion, you will be automatically entered into a draw to win DINNER FOR TWO* at a local Guelph restaurant. Winners will be chosen on the first of every month. Please complete this survey to the best of your ability. Ie: Marketing, Technology, Service Experience, etc. Please feel free to leave some kind words or feedback for the Brokerage. Thank-you for completing the survey. We value your trust and confidence in choosing to work with Coldwell Banker Neumann REB. If you are chosen as the winner of the contest, you will be contacted by a member of our team. Coldwell Banker Neumann REB is the originator of this survey and is solely responsible for its content. Your responses are completely voluntary. Coldwell Banker Neumann reserves the right to withdraw or terminate a survey at any time and for any reason. By participating in the survey, CBN alone has the right to view and use the survey results as they see fit.